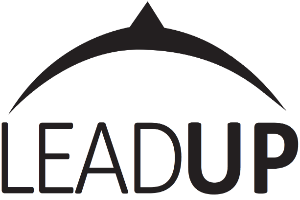 Lead Up is a mentoring program intended for active high school students with ambition to improve their skills under the guidance of an experienced mentor. A professional mentor is a valuable source of knowledge and experiences. He can help you to develop your talent and become a leader. Do you want to know how to succeed? The mentoring program Lead Up will help you to find the answer. You will get to know how does your dream career look in reality or how to start your own business. This is the start of your journey and Lead Up will help you to plan your career goals and find the best way to achieve them. By participating in project Lead Up you will by able to build your short-term and long-term career goals. Your mentor will help you to increase your skills, give you tips to improve your CV or portfolio. The mentoring program works on the 1 on 1 basis through personal meetings, skype calls and e-mail communication. Don’t be afraid! Increase your chances to succeed! Seize the opportunity and join in! The program is officialy supported by the president of Slovak Republic, Andrej Kiska. What does the Lead Up offer to you? You will get assigned a mentor, who will help you to achieve your goals. Mentors participating in our program are successfull professionals in their field. It is up to you and your agreement with your mentor how you will work on achieving your dreams. Take advantage of this opportunity. More about Lead Up mentors here. Apart from consultations with your mentor, you will be able to visit him for one day on his workplace and he will show you how does the job looks in reality. Through the „CAREER DAY“ the mentee is able to gain all the practical information about the mentor’s job. Unique training program! You will not learn this in school! As a participant of the project, you will get the opportunity to participate in the series of trainings in Bratislava, which will prepare you for your future. Do you want to know, how to start your own business, the proper way of communication, problem-solving or how to travel on low budget? As a participant of the project, you will find the answer for all of these questions. Become part of an extraordinary team! As a participant of Lead Up, you will have the opportunity to get to know people like you and create community of the best. The program includes meetings of participants and networking events. Project Lead Up is currently available only for Slovak students. If you are interested in expanding Lead Up beyond Slovak border, please contact us at info@futuregenerationeurope.eu. Project Lead Up is free and is realized with support of the general partner Nadácia spoločnosti ESET.